So after a long month of Vegan MoFo, we find ourselves saying Sayonara, So Long, Stay in Touch! It has been a blast but exhausting. For the final day of Vegan MoFo, I bring you some reflections on the month, some collages of my Vegan MoFo photos, and some random photos of recent food. raw spinach and sprouts, and leftover Mexican tofu crema. I have had fun with my nominal theme: The Letter S. It has given me a challenge and a focus. I have made soup, salad, sushi, scramble, sauce, smoothie and sweets*. Dishes have been sweet, sticky, smoky, stuffed, spicy, speedy, savoury, surprising and scrumptious. Ingredients have included spinach, strawberry, sourdough starter, sauerkraut, smoked paprika, salsa, sprouts, squash, sweet potato and sesame seeds. I had lots of ideas for posts that I never had time for. However I do find that Vegan MoFo inspires me to try innovative recipes and experiment with vegan cooking. I love seeing all the other crazy ideas and hope to be trying some of the great recipes I have encountered. The breakfast roll at True North in Coburg. can be veganised. And tasty too! This year I was possibly the most organised of my 4 years of doing Vegan MoFo. It was probably my busiest Vegan MoFo too. I spent too much of it whinging about my stolen car. As I write we are getting close to buying a new car, god willing! I am much fitter for riding my bike more but still disorganised and most displeased. This month also kept me busy because unusually for me, I was away at least one night every weekend. School holidays and out of town trips have really limited my time and energy for MoFo. Even this post is scheduled in advance because we headed off on holiday for the last few days of the month. There is no way I would have posted so much if I hadn't written most of about half the posts before the start of September. Perhaps the craziness of life gives me a good excuse for feeling that my Vegan MoFo posts list was not quite right this year. Usually I list posts in order of the day of posting. This year I had a silly idea to give each day of the week a theme and list posts in that way. I don't think it quite worked as there was too much overlap and not enough discipline on sticking to the daily themes. I may reorder the page if I find time. oodles of tahini, maple syrup and choc chips. 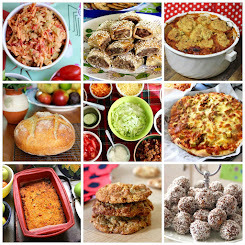 Featured in Day 2 and Day 18 round up on the veganmofo blog. My strawberry chia seed jam was listed among Vegan MoFo favourites by Plantaardigheidjes and one of the inspirations for Little Vegan Bear's chia seed jam. 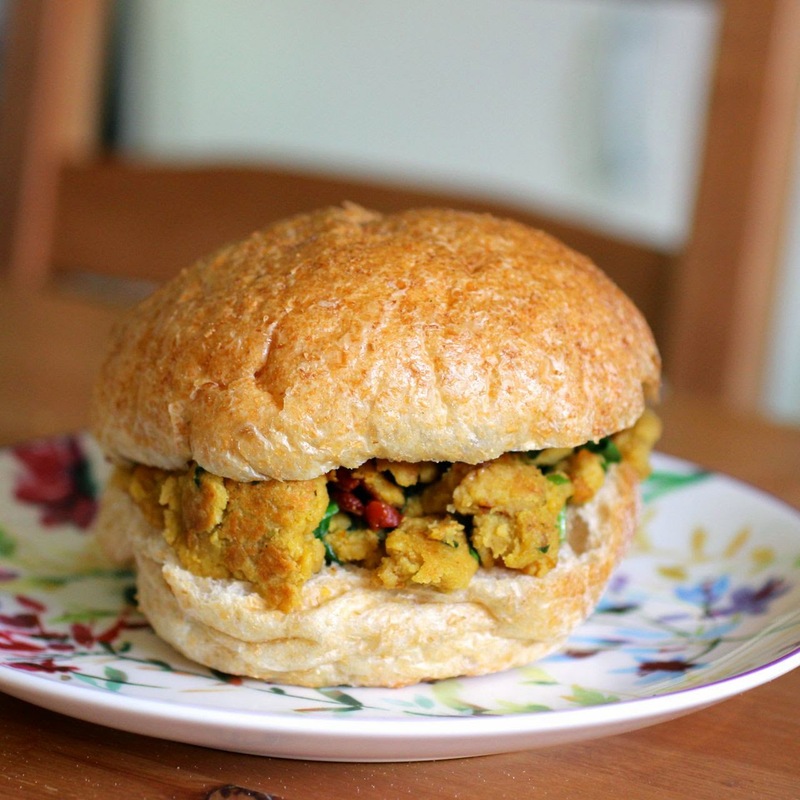 Listed in the VFNGF daily faves and also included in her top 10 Vegan MoFo savoury recipes. Listed by Kari of Bite Sized Thoughts in her Vegan MoFo Round Up. 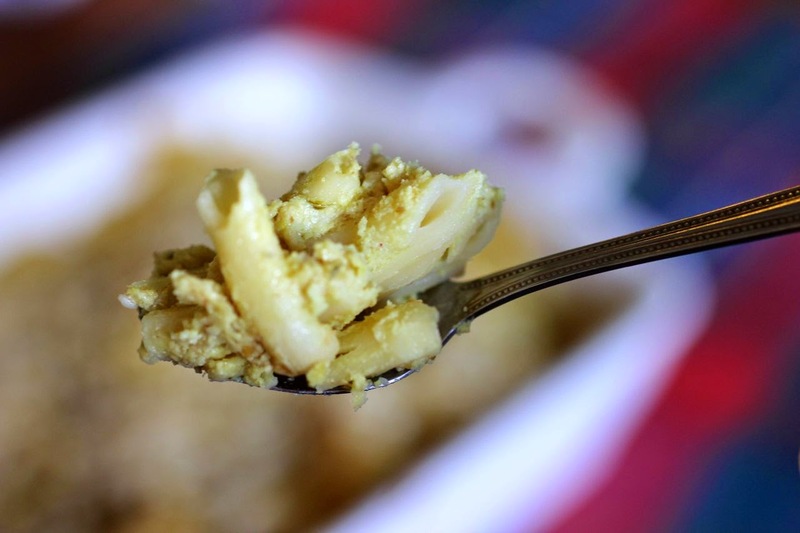 Listed in Vegan Daemon's Vegan MoFo round up for my sauerkraut, cauli and blue cheese macaroni cheese. As always with Vegan MoFo, many thanks are due. Firstly to E who puts up with it keeping me so busy and washes so many dishes. (When I told him I was doing Vegan MoFo again, he joked it must be in spite of his many letters requesting they cancel it this year!) Secondly thanks to all the lovely folk who organise Vegan MoFo. It is such a huge and fantastic effort. And last but not least, thank you to everyone who shared, read my posts and made comments. I really love the flurry of community spirit during Vegan MoFo and the welcome extended to me as a vegetarian. I wish I could have spent more time on random mofo, visiting mofo bloggers and commenting but that is the nature of Vegan MoFo. Too much good food and too little time. Yet I have loved being part of the craziness. 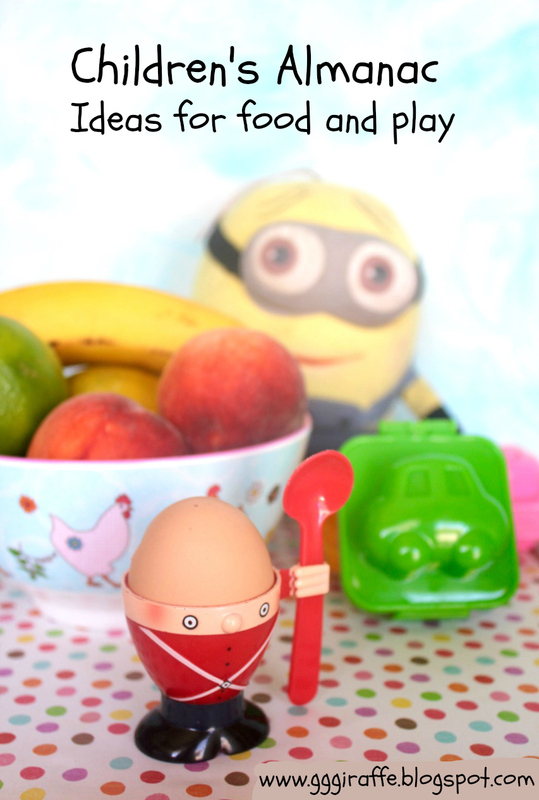 I will be back next month with more about my holidays, my new blender and many more recipes. I am looking forward to blogging at a more leisurely pace. *Sweets is what we called dessert when I was a kid. I am not sure how many others used that term but we often would ask my mum "what's for sweets?" This post is part of Vegan Month of Food September 2014. This year for Vegan MoFo my theme is The Letter S. Today is S for Sayonara. Go to my Vegan MoFo list for more of my 2014 Vegan MoFo posts. 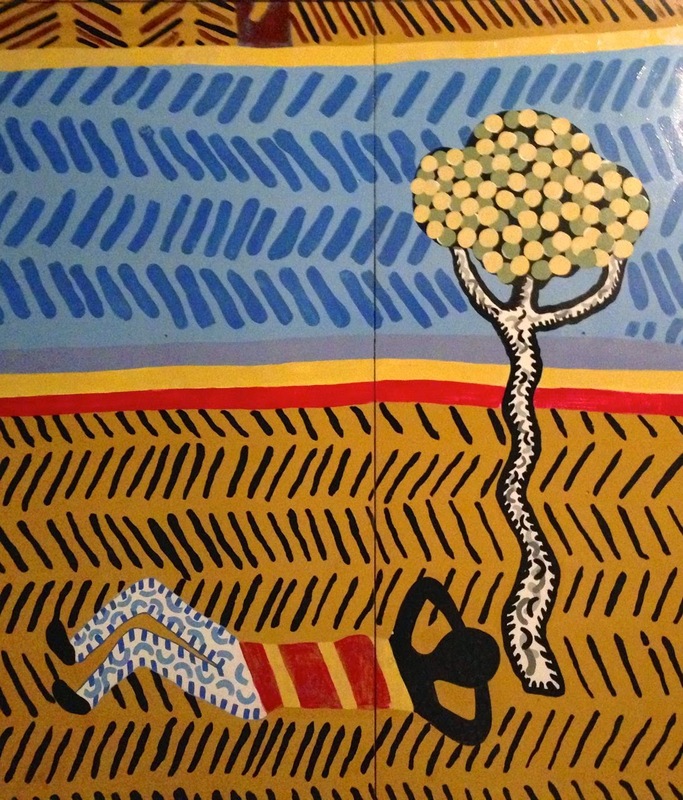 A week or so before these school holidays arrived, Sylvia had a curriculum day. We didn't need to get up early and get her to school but there were other appointments. I had seen Emma's recent chickpea scramble and was inspired. After all there was all the chickpea flour I had recently bought. Suddenly I looked at the clock and the hands were wooshing around a bit too fast for my liking. We had to be at the doctor very soon. I chopped up the vegies, mixed up the chickpea omelette and had it all in a scramble in minutes. Sandwiched it in a bun and chomped through it quickly. It was very satisfying. For more so than racing to the doctor only to have to wait for 30 minutes. 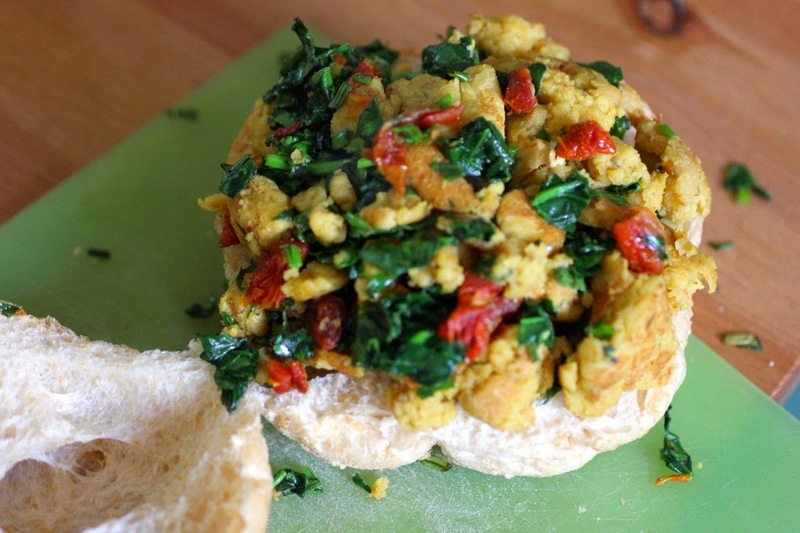 It was far better than tofu scramble which can be watery and floppy. The soft chunks are such great comfort food. I never liked eggs and am not even sure how to scramble one but somehow I still like it with that smelly black salt that is there to give an eggy taste. In fact I liked it so much that I made it for a quick lunch for E shortly afterwards. He loved it, perhaps not as much as me. E had his over an English muffin with chilli sauce, but I ate mine with some crackers and beetroot dip. Such a great healthy quick meal. Heat oil in the frypan over medium heat. 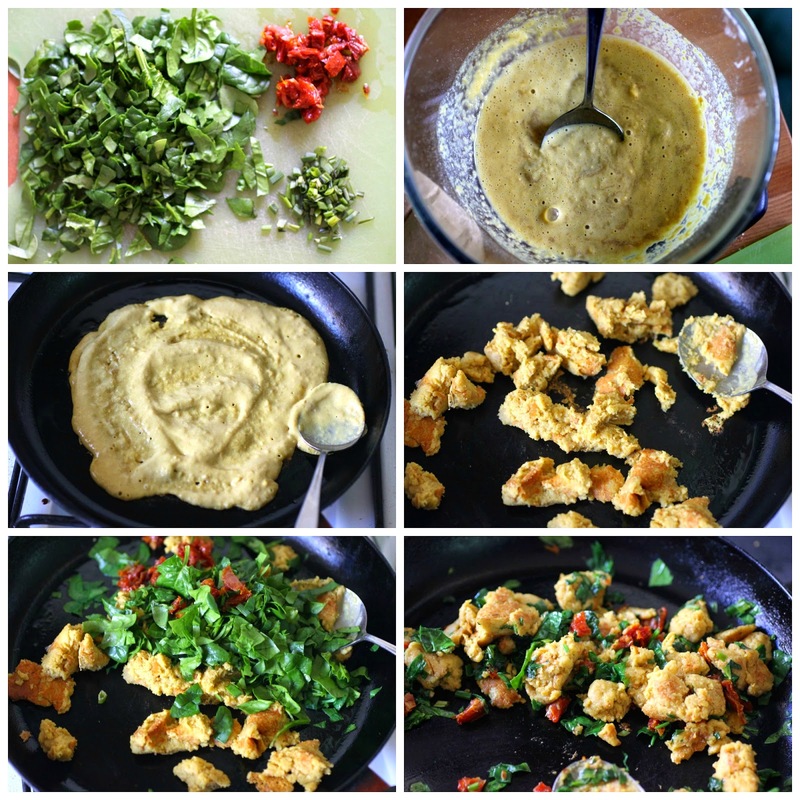 Pour chickpea mixture in and cook a minute or two like an omelette until it starts to dry out. Break up into chunks with a spoon (don't worry if there is a little golden brown colour on the chunks.) Add the vegies and cook briefly until spinach is wilted. Serve hot. 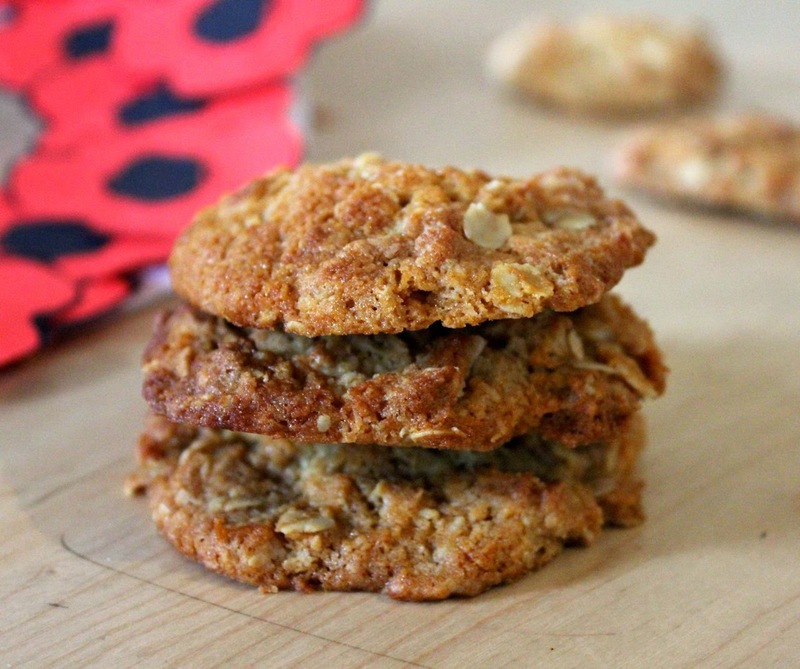 This post is part of Vegan Month of Food September 2014. This year for Vegan MoFo my theme is The Letter S. Today is S for Speedy Mondays. Go to my Vegan MoFo list for more of my 2014 Vegan MoFo posts. 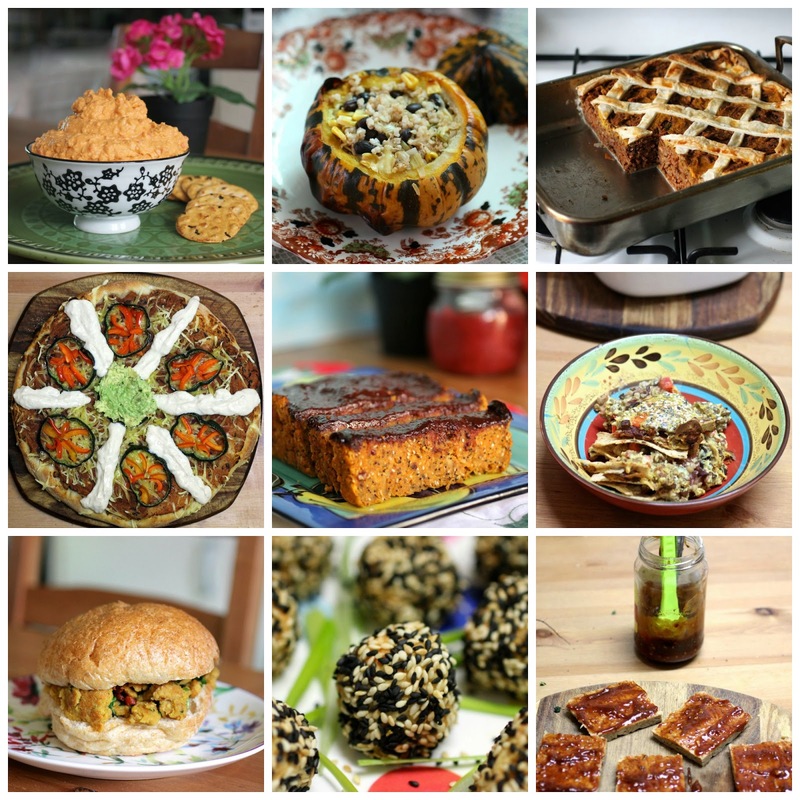 Vegan MoFo is about community, visiting blogs, meeting new people and discovering new recipes. Here are some posts that made me think, wow I so want to make that! And a few themes that I loved. As my theme this year is The Letter S, you might notice that every category starts with S.
Apologies to those whose gems I have missed. 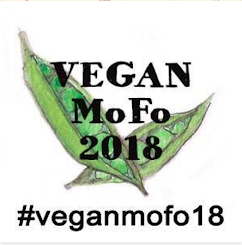 There are so many great posts and themes for Vegan MoFo, it is an effort to keep up! 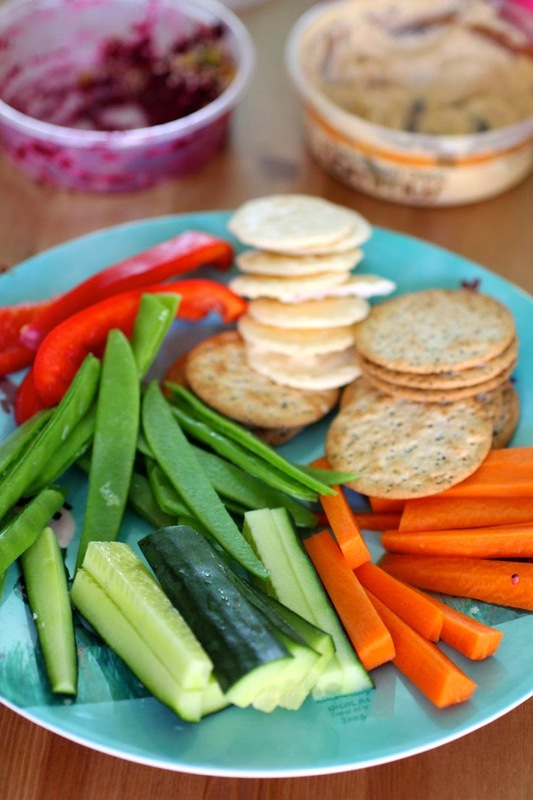 This post is part of Vegan Month of Food September 2014. This year for Vegan MoFo my theme is The Letter S. Today is S for Sayonara Sunday. Go to my Vegan MoFo list for more of my 2014 Vegan MoFo posts. When I was younger and learning to cook I wished to be the type of cook who regularly made pizzas as one of my stress-free meals. I am happy to say I have arrived. Pizza is regularly on the menu in our house, often on a weekend when we have tea on the knee in front of the telly. Now that I have a starter, it felt only right that I find a reliable sourdough pizza base recipe. 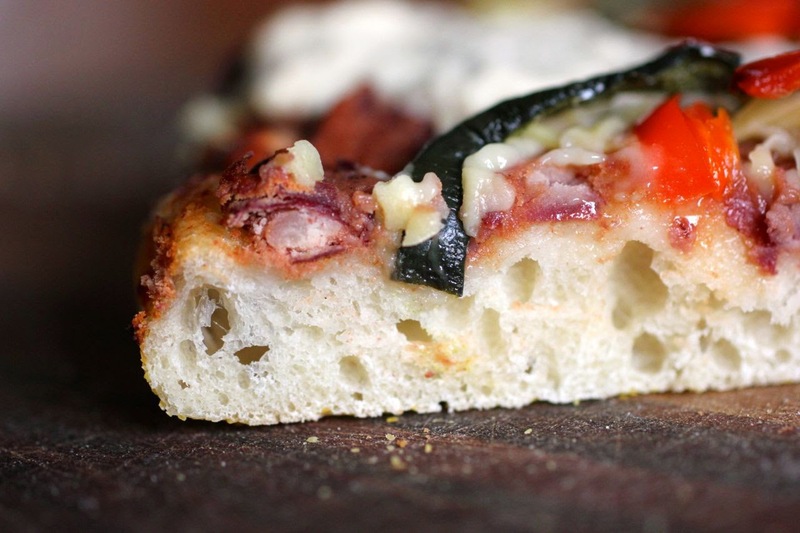 Previously I have made a pizza base that uses sourdough and commercial yeast. I still make my fast track pizza base occasionally. Yet I bake with my sourdough starter so regularly that I wanted a base using just my starter for days when I have time. I have made this one a few time. My notes are fairly scrappy from the first few tries but this one worked a treat so I am recording it here. Ideally I would have taken the starter out of the fridge a few hours before mixing up the dough to give it time to come to room temperature. I could feel how cold it was while kneading. I made this dough on a day in winter when the house just refused to warm up. In summer I suspect it would rise a lot faster. However, pizza is so good on a cold day. 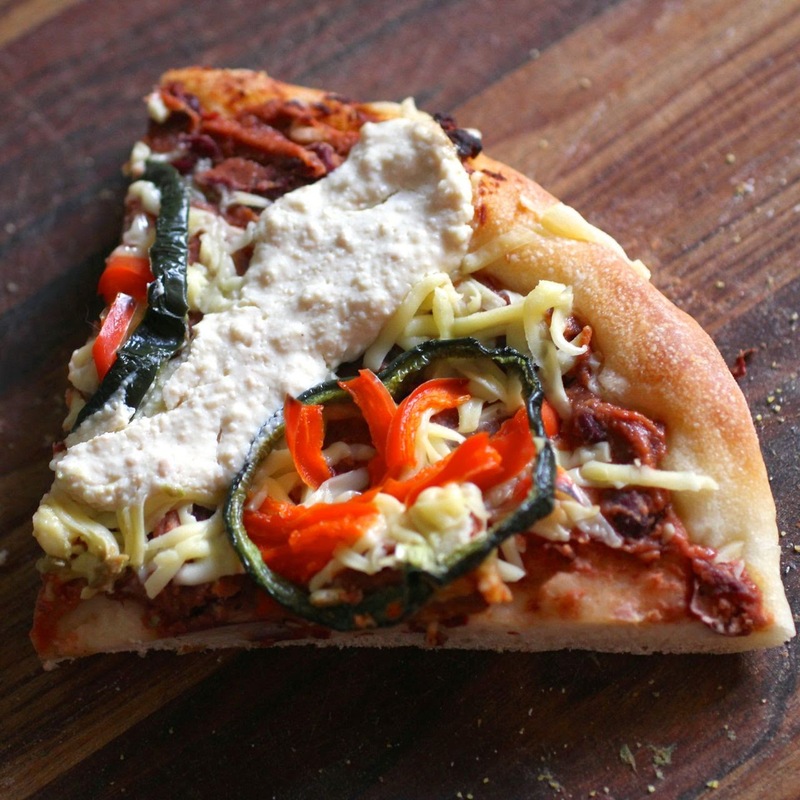 The day before I made this pizza, it was one of those typical Melbourne days that we call "four seasons in one day". It was a lovely balmy winter day of 19.5 C until we had a drop of 10 degrees in an hour. I suspect I was feeling the cold on the day I made it because of the sudden change. 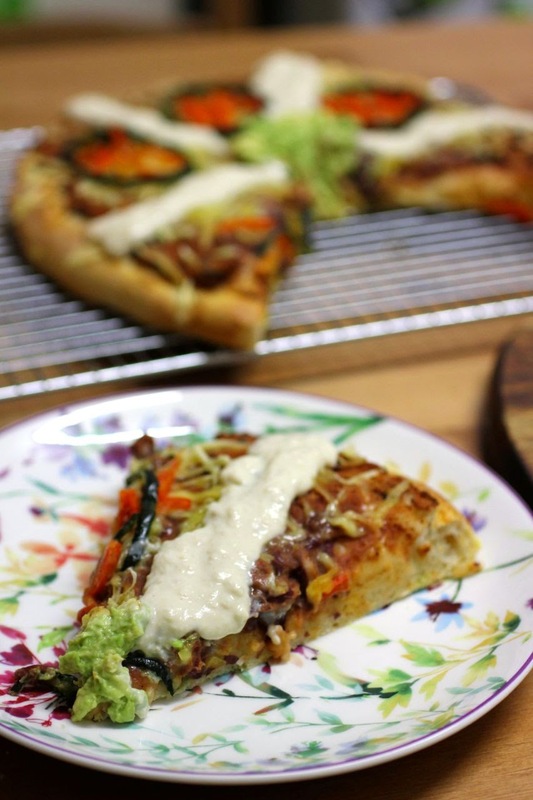 I have dreamed of making a good tex mex pizza for some time. In this one, much past experience came together. 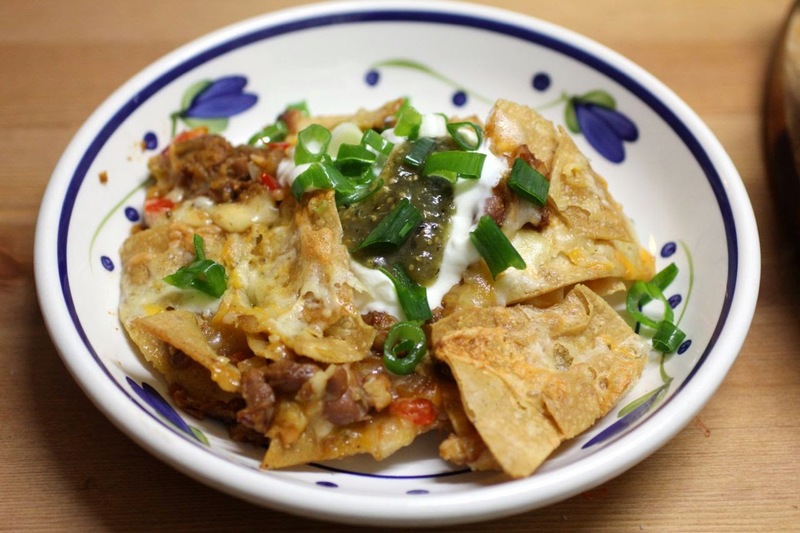 My experience of making rapid refried beans, pizza sauce and Mexican crema helped, as did my recent discovery of poblano chillis. It was the poblano chillis that really gave me the inspiration I needed. I am in love with their mild flavour. While normally I don't use much in the way of chilli I wanted to have rings of these chillis featured. So pretty. I decided that a thick bean base might help to keep together the toppings. One of my major issues with vegan pizza has been that everything falls off in my lap without the cheesy glue to hold everything together. This one worked so brilliantly that it was only after dinner that I realised nothing had fallen off. I credit this to the brilliant meltiness of bio cheese. The paste at the bottom and the sauce on top no doubt helped too. The only other change I would make to the topping would be to add some crumbled corn chips like one of my old time favourite pizzas. And the sourdough pizza base? Oh yes it was brilliant. I have been making my fast track pizzas a bit thin of late so a thick bready base was such delicious comfort food. In every respect it was a great pizza - great base, hearty satisfying fillings, and pretty to look at. You can't ask much more than that. 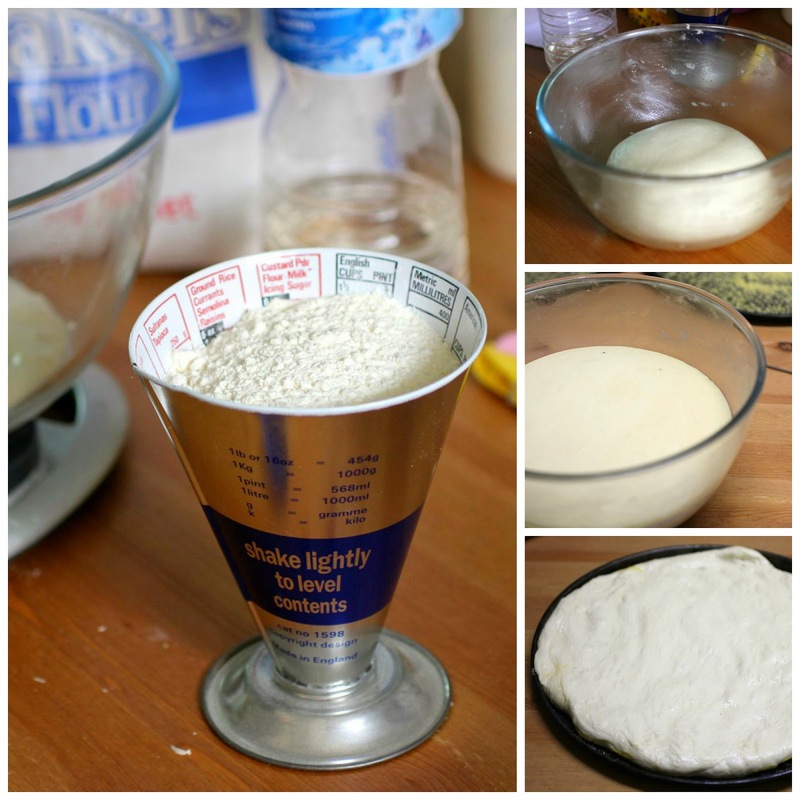 Mix all ingredients and knead for 20 minutes. Ideally you will reach the stage where you can stretch the dough thin enough to have it transparent (window pane stage). Knead on a floured surface if sticky and once it comes together and not too sticky (about 7 minutes for me) rub a little oil on surface from time to time to keep dough from sticking to surface. Preheat oven to 220 C. Cut the dough in half. Stretch out each half into a circle on a lightly floured surface. Scatter large pizza tray with polenta. Carefully life up circle of dough and pat onto tray. Repeat with remaining half of dough. 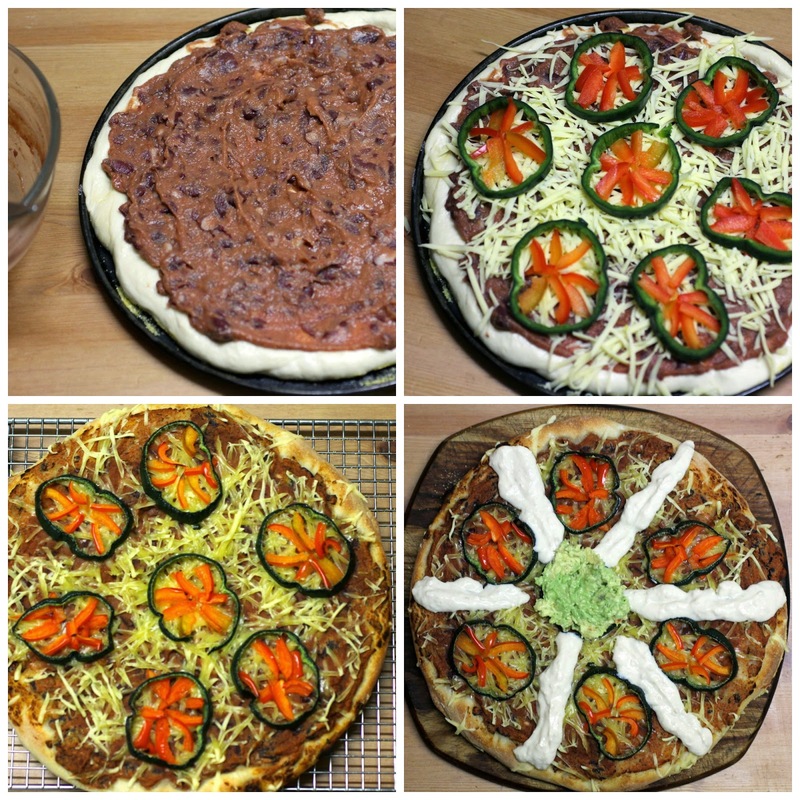 Top one pizza base with tex mex topping (below) and other as desired. Tex mex topping: Mix pizza sauce, chipotle sauce, kidney beans and tomato paste into a thick paste. Spread over pizza base. 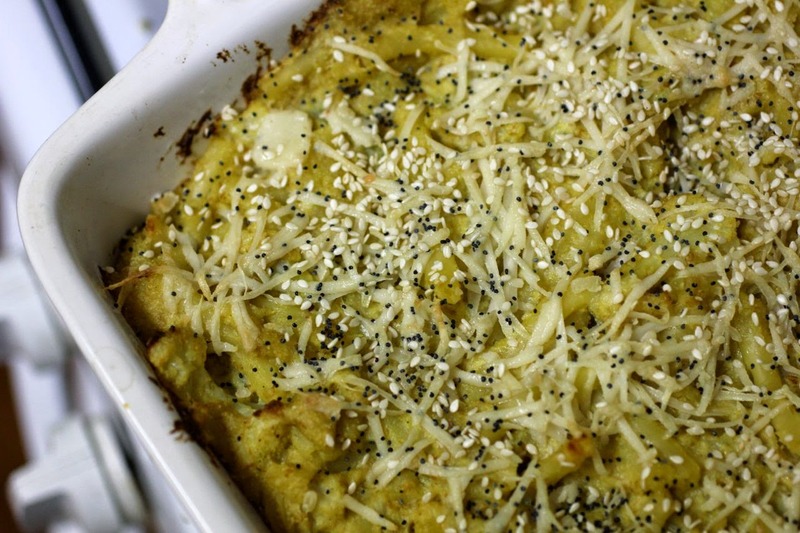 Scatter with grated bio cheese. 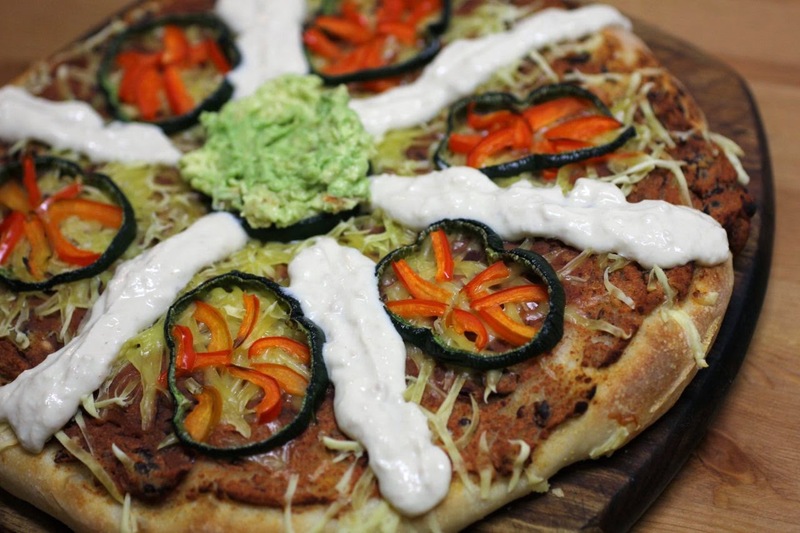 Top with slices of poblano chillis and red capsicum. Bake for 20 to 25 minutes or until golden brown around the edges. (After 25 minutes mine was quite brown around the edges.) Remove from oven and use a spatula/eggflip to loosen pizza around the edges. Transfer to wire rack until ready to slice up. Top with avocado and Mexican crema just before serving. It is best fresh but can be reheated the following day. * I make my own pizza sauce like this one. It is a mixture of tomato paste, baked beans and seasoning. 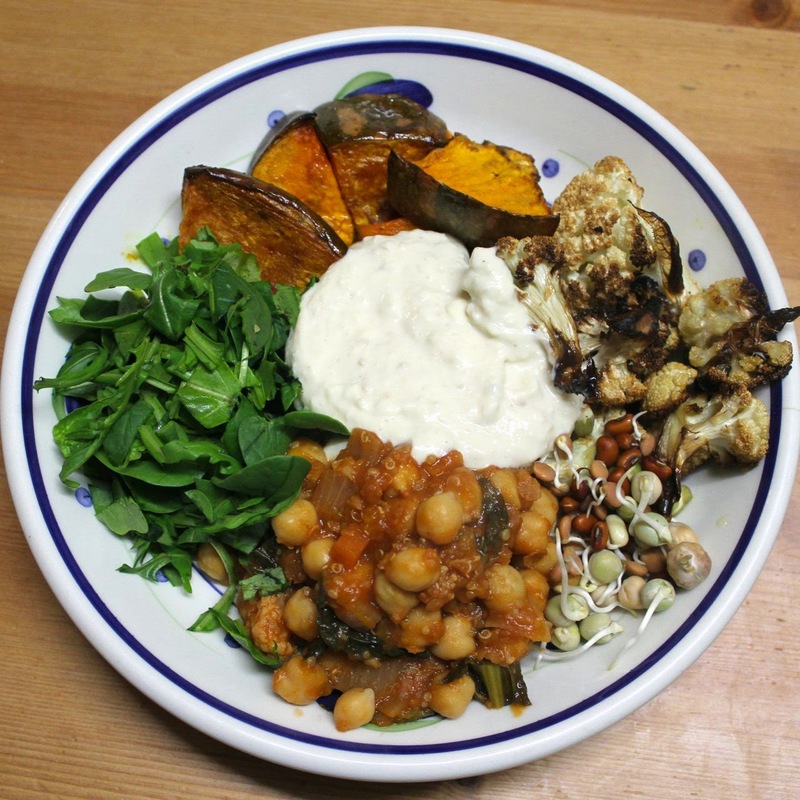 This post is part of Vegan Month of Food September 2014. This year for Vegan MoFo my theme is The Letter S. Today is S for Smoky Fridays. Go to my Vegan MoFo list for more of my 2014 Vegan MoFo posts. I had to throw out a jar of cranberry sauce a couple of months ago. It had sat there since Christmas. When I bought another jar for our Christmas in July, I was determined not to let this one linger quite so long. Hence my interest in a recipe for a Leftover Cranberry Soy Sauce Tofu. I misread the recipe and put in apple cider vinegar instead of apple cider. Oops! No wonder it was quite sour tasting. I added some orange juice from some manky old oranges. That seemed to fix it. The first night I served it with rice and steamed broccoli. It was good but I had fried the tofu too much and there wasn't enough sauce. The second night, with a bit more time for sides, I made a carrot salad (like this) and fried the tofu so that there was plenty of sauce. It didn't look as good under the blanket of sauce but tasted so much better. 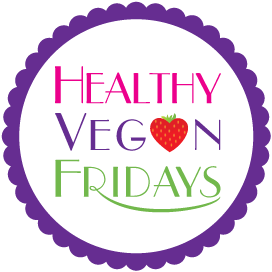 I am sending this tofu to Healthy Vegan Fridays #14, hosted by Kimmy of Rock my Vegan Socks and Robin of Vegan Dollhouse. Meanwhile I am off on holiday but have scheduled my last few Vegan MoFo posts to round off the month. Press tofu (I did this for an hour but more would be better.) Cut into 0.5cm slices. Mix remaining ingredients in a shallow dish. Marinate tofu in this mixture for about 1 day (I did this for about 6 hours.). When ready to fry, heat oil over medium heat in a large frypan. 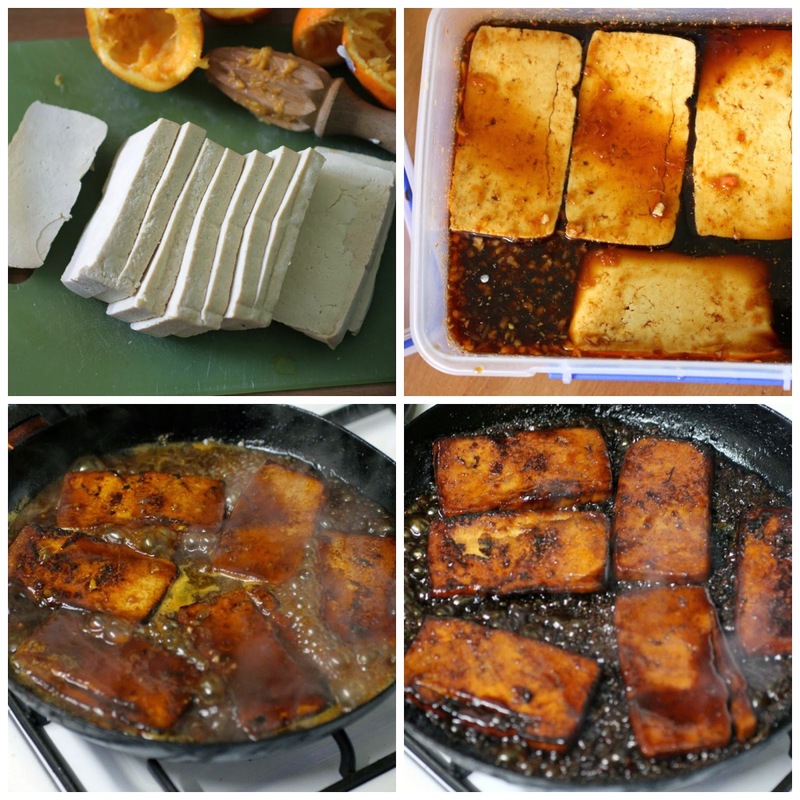 Lay tofu slabs side by side (I had to do it in two batches to fit into my frypan that is about 22-23cm in diameter.) Spoon a little marinade over it. 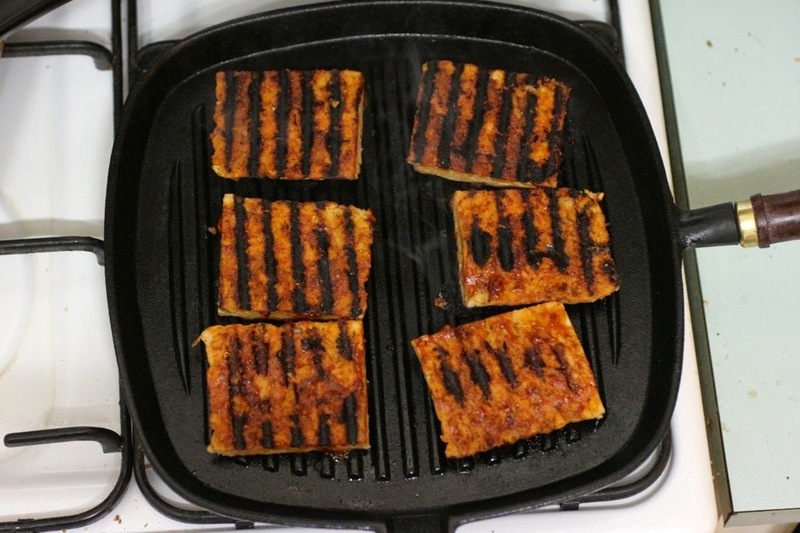 Fry tofu until well browned on each side. 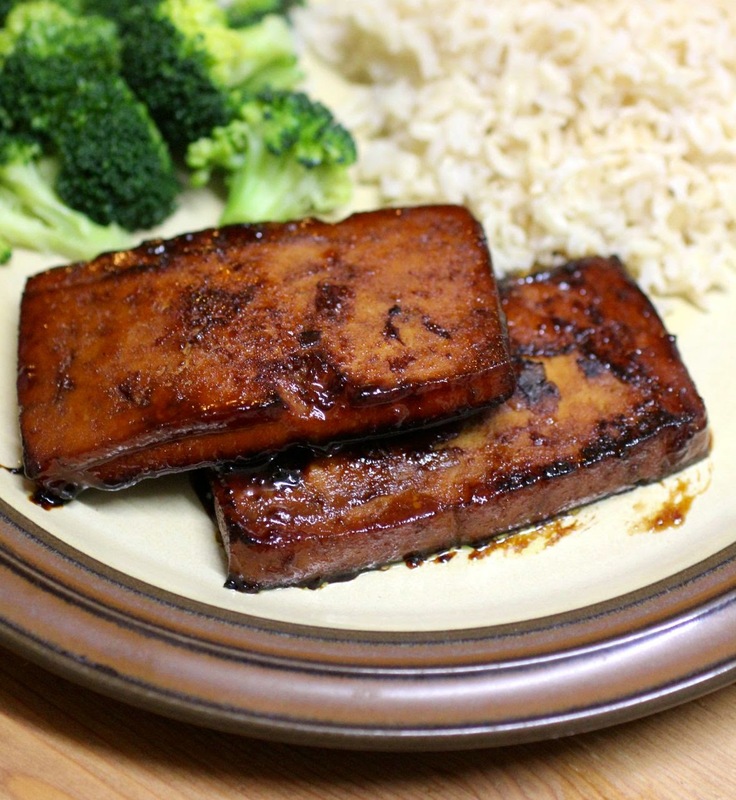 Pour in remaining marinade and cook until the marinade has reduced to a thick sauce. 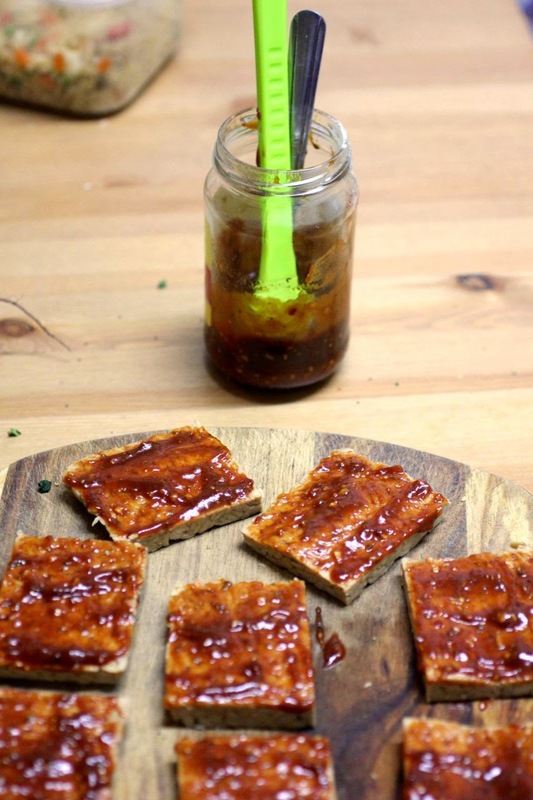 Serve tofu with marinade sauce. 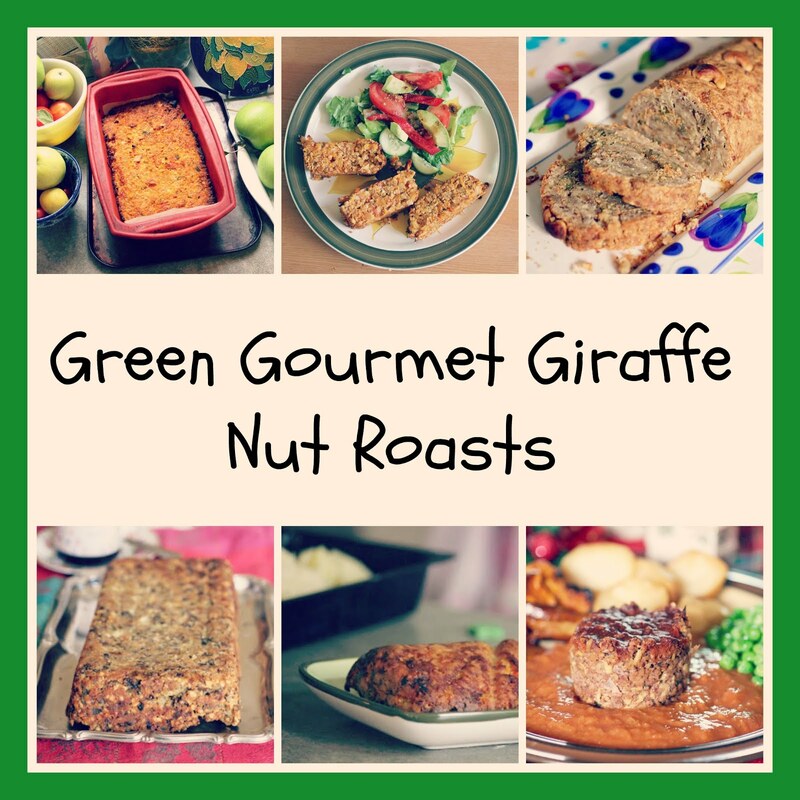 This post is part of Vegan Month of Food September 2014. This year for Vegan MoFo my theme is The Letter S. Today is S for Sticky Thursdays. Go to my Vegan MoFo list for more of my 2014 Vegan MoFo posts. A while back I was at my parents' place, chatting to my brother who is a lover of carnivorous carbs. I told him I had made a macaroni cheese. He looked at me as though the food I eat was finally something he understood. 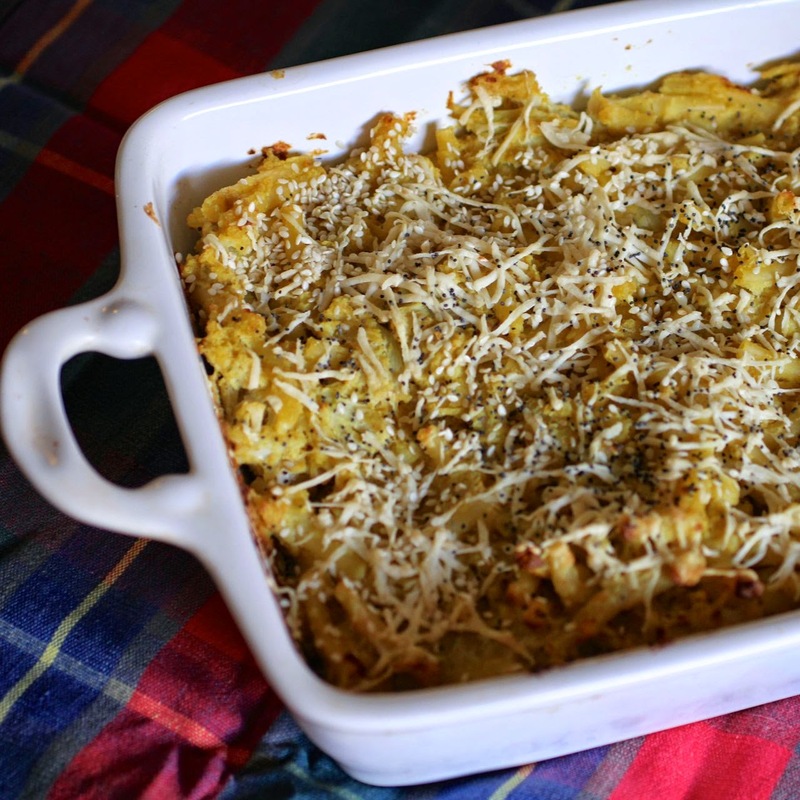 Then I ruined the bonding moment by adding that my macaroni cheese had sauerkraut, cauliflower and vegan blue cheese. He told me he would never ever eat at my place. So yes, this pasta dish is not one to impress your friends who are dubious about your vegan lifestyle. Save it for the adventurers in your life. Or just make it on a night like I did when I had scraps of vegan cheese to use and was determined to finish the bottle of verjuice that had taken up valuable kitchen real estate for too long. Actually I didn't have enough sauerkraut so verjuice seemed close enough for jazz. The cheeses are not essential but this is a good way to use up those heels of cheese that kick around aimlessly. I made this pasta bake on a day when E's train was cancelled and Sylvia got her Frozen DVD and CD. The gas flame went out while cooking, Elsa was singing 'Let It Go' on the tv and I got so flustered while cooking that I didn't take notes on timing as I often do. The mac and cheese tided us across a weekend when I went to the farmers market, only to find I had the wrong date, and then headed off to Ikea and had a dilemma about how to wrap a wardrobe that was from the As Is section, because Ikea does not insure home delivery of off the floor furniture. I was given three different pieces of advice about how to wrap it. I stressed over what to do. The wardrobe arrived in one piece anyway! The pasta bake had been on my to do list for a while. It had been one of the inspirations for this vegan cheese. The sauce had a sharp flavour rather than that mild creamy taste I expect of a cheese sauce. I asked E what he thought and was told he had added so much Tabasco he couldn't say. Though I had intended to bake it, on the first night it was quicker to eat it as a stovetop mac and cheese. I then baked a lasagna dish full of the leftovers. It made a lot. Which was fine because it improved over the next day or two. 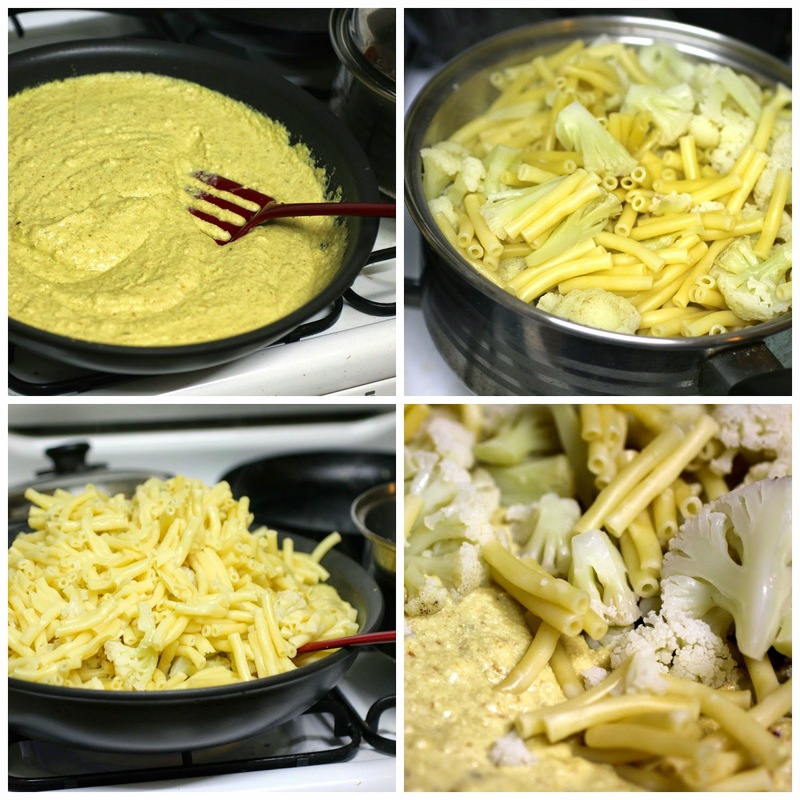 Cook pasta and cauliflower in salted water for about 7 minutes or according to packet instructions. Drain and set aside. Blend (drained) cashews with 1 cup of water and 1 tsp stock powder until as creamy as your blender or food processor will do. (Isa of Post Punk Kitchen soaks her cashews because her machinery is fairly basic. Mine too. My cashews were a grainy sort of creamy.) Add another cup of water. Fry onion in 1 tbsp of oil until soft. Stir in garlic and sauerkraut for a minute or two. Tip mixture into the cashew cream in the food processor or blender. Blend. Add in verjuice, turmeric, pepper, nutritional yeast flakes, mustard, salt and lemon juice. In an extra large frypan, fry remaining 2 tbsp oil and the flour until golden brown. (I added a bit more flour so it was quite thick and was glad I did,) Gradually add in remaining 2 cups of water plus 1 tsp stock powder, stirring constantly to avoid any lumps forming. Bring to the boil, stirring frequently until it thickens. Now stir in cashew mixture and blue cheese. Heat until it has thickened and is bubbling at the corners. Turn off the heat and stir in pasta and cauliflower. At this point you can just eat the pasta with sauce or spoon it into a greased lasagne tin and bake for 25 minutes at 200 C or until the top is golden brown. 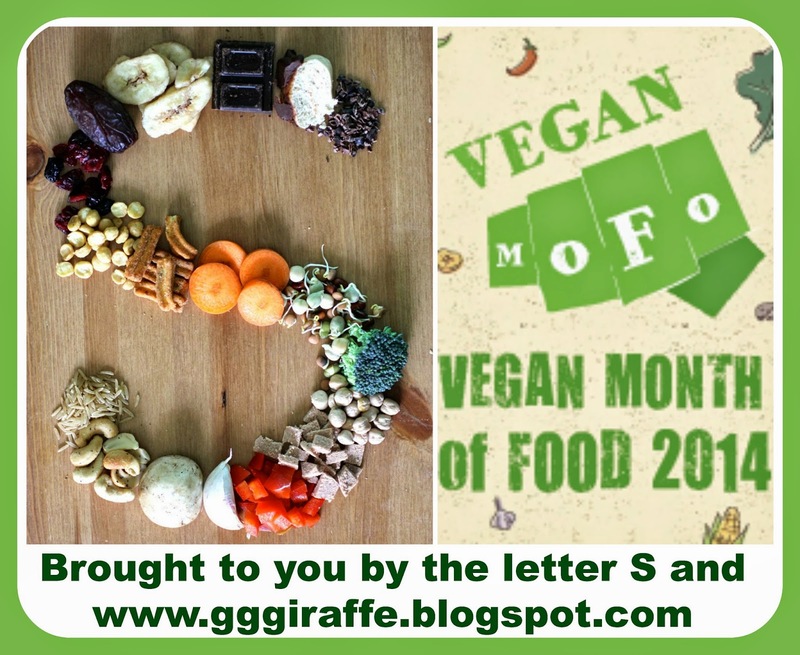 This post is part of Vegan Month of Food September 2014. This year for Vegan MoFo my theme is The Letter S. Today is S for Surprising Wednesdays. Go to my Vegan MoFo list for more of my 2014 Vegan MoFo posts. On a bad day, lunch is a peanut butter sandwich. Sometimes I am quite proud of my lunch. 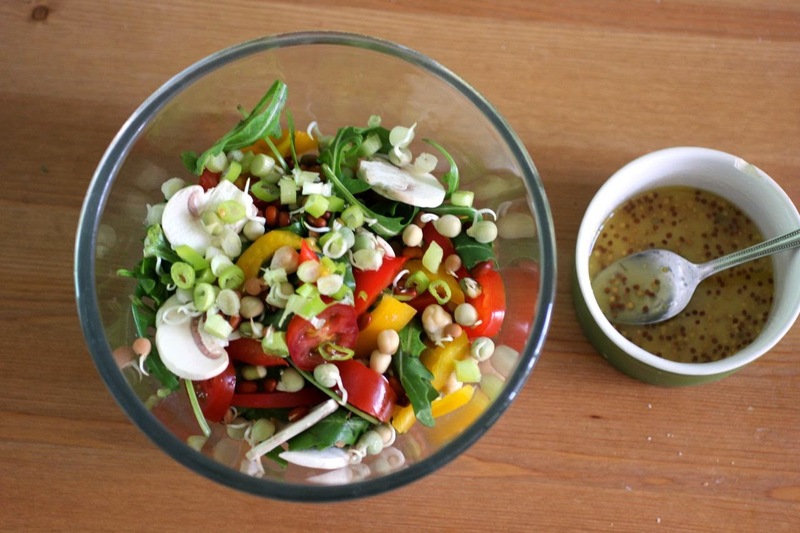 This salad started with a craving for bean sprouts. It was just what I wanted. Leafy, colourful, crunchy, juicy, sharp and sweet. It is a bit like the crunchy salads that I posted about years ago. I still make those sort of salads occasionally and this is one of them. I am sending this salad to Deb for Souper Sundays at Kahakai Kitchen. Lightly whisk together dressing and toss through with salad ingredients. 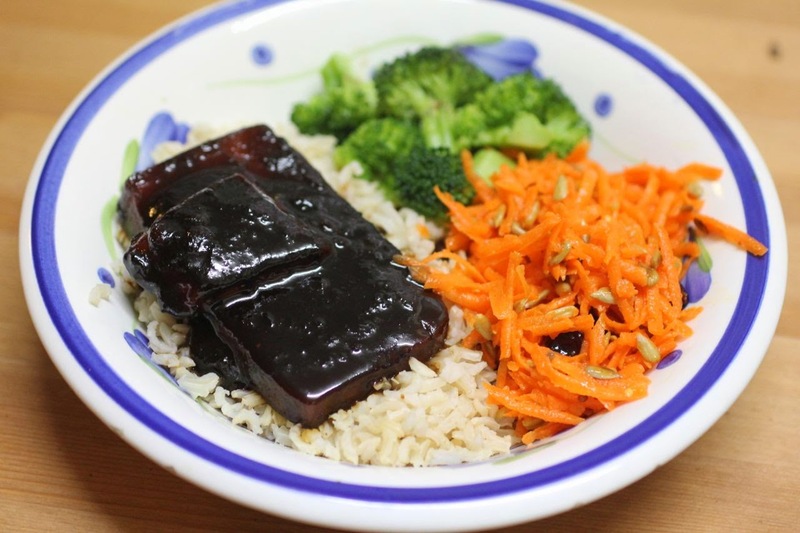 This post is part of Vegan Month of Food September 2014. This year for Vegan MoFo my theme is The Letter S. Today is S for Same Same Tuesdays. Go to my Vegan MoFo list for more of my 2014 Vegan MoFo posts. Do you ever make a large jar of sauce and every time you open the fridge and pass over it, you feel its accusing look? As soon as I saw Elizabeth's BBQ sauce, I wanted it that night. It used pantry ingredients and only made a small amount. And it looked really tasty. Then the night went a bit Pete Tong and I had to wait until I had time on the weekend. I was determined to use up a packet of tempeh that had crept past the use-by date a few days ago. The BBQ sauce was surprisingly good with the tempeh and some leftover fried rice. Converting a sauce for meat to a sauce for vegetarians can be a little fiddly. I found the sauce too sweet and lacking in salt. (Perhaps because I skimped on the chilli powder, my Worcestershire sauce was running out and I didn't have muscavado sugar.) A little blackstrap molasses and some extra seasoning fixed it. It is not BBQ weather and, even if it was, we don't have a BBQ. I got out my much-neglected ridged grill pan. 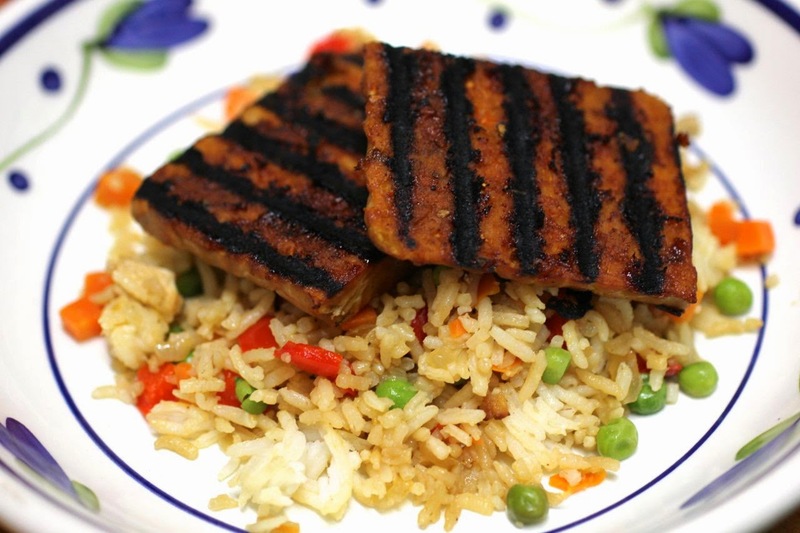 The tempeh looked pretty with the grill marks. I did need some patience to wait for them to appear. You might notice on the above photo that there is one piece of tempeh without decent grill marks that I turned over too early. I also needed the fan on because it got quite smoky in the kitchen. 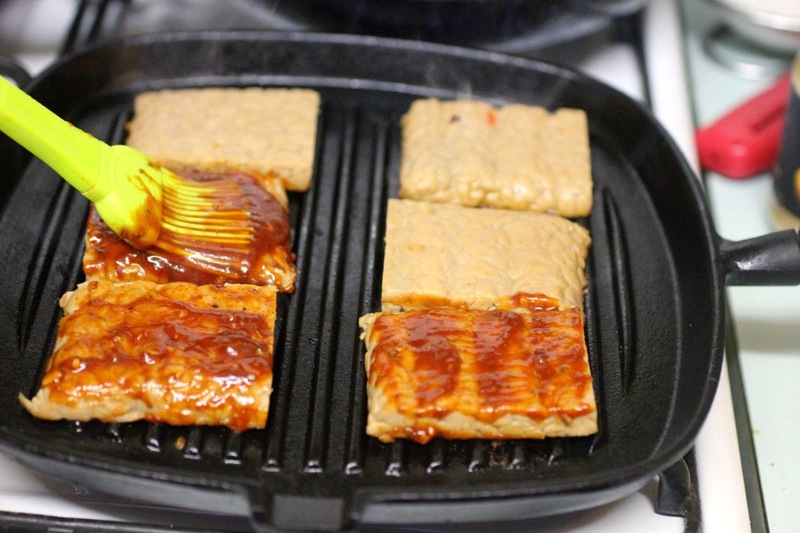 I wondered if it would have worked better if I had got the tempeh sliced a little thinner. Easier said than done. Or maybe tried to press out more moisture. Or marinaded it longer with the sauce. Coulda woulda shoulda! I was concerned the E wouldn't like the tempeh but he did. We even ate the rest of the leftover tempeh between us on the same night. Once all the (leftover) fried rice was gone, E hit upon the idea of slathering a bit more sauce over the tempeh. This worked brilliantly. It used up a lot of the sauce still in the jar. Just a little sauce was left in the jar. I made some rapid refried beans for nacho the next night. Instead of adding tomato paste to the beans, I added the sauce. It gave great flavour. So much so that when I make this BBQ sauce again I might use leftovers wherever I need some tomato paste. I am not sure it will last that long though. The odd thing about blogging is that even with all the great food I write about I can still draw blank at dinner time. Today found me leafing through cookbooks for a simple salad dressing. 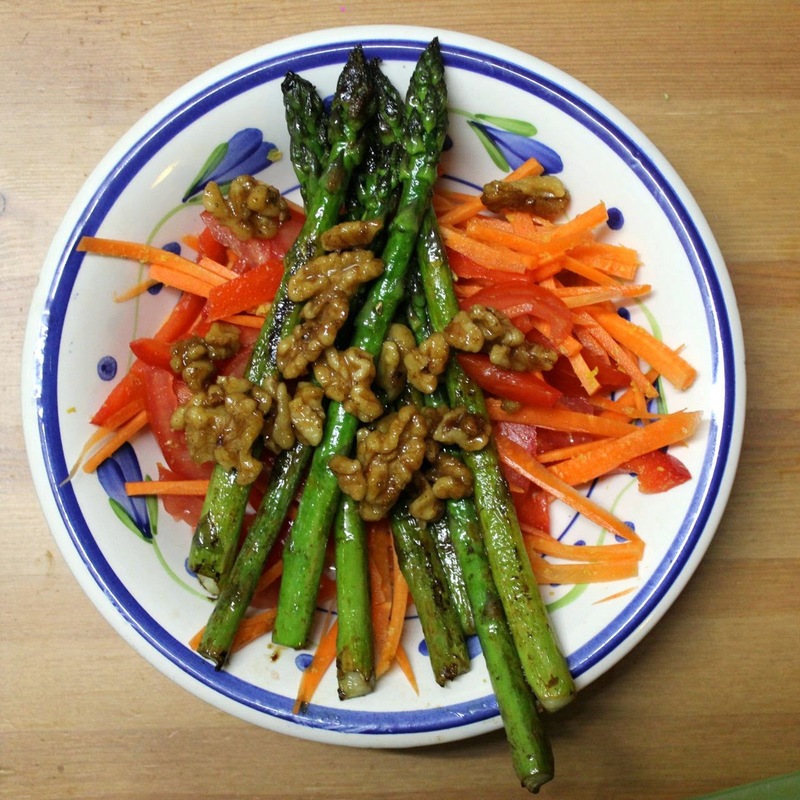 Instead I found an idea for maple walnuts in Alice Hart's Vegetarian. I fried mine on the stovetop with maple syrup, a little liquid smoke and some of the Old Bay Seasoning I found on the weekend. They were brilliant with lemon fried asparagus and some vegies tossed in red wine vinegar and nutritional yeast flakes. In fact I had to fight Sylvia to keep my share of the walnuts. Not a recipe as such, but a great quick dinner idea. Something simple so I can eat with Sylvia. Then I made a Coconut Chana Saag from Isa Does It to last out the week before we head off on holiday for the last few days of Vegan MoFo. 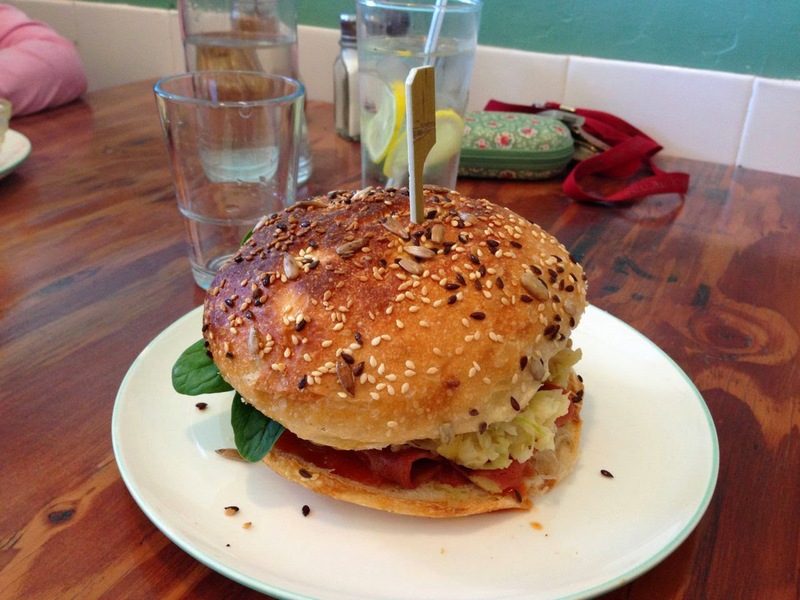 I will share some food from my trips to Adelaide and Port Fairy after Vegan MoFo. Mix ingredients together to make a thick sauce. 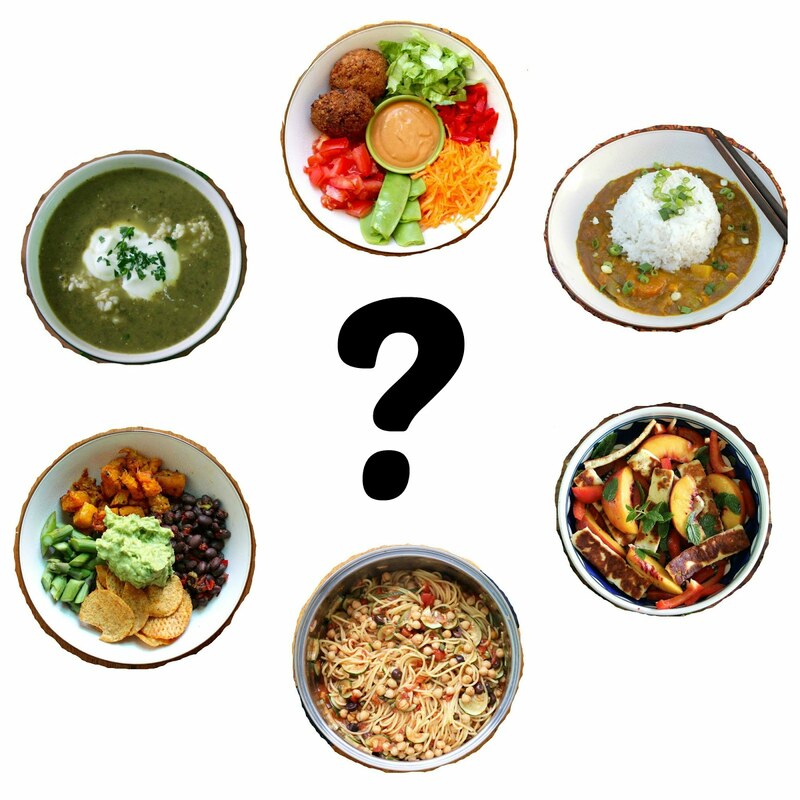 This post is part of Vegan Month of Food September 2014. This year for Vegan MoFo my theme is The Letter S. Today is S for Some recipes I couldn't fit in during the week. 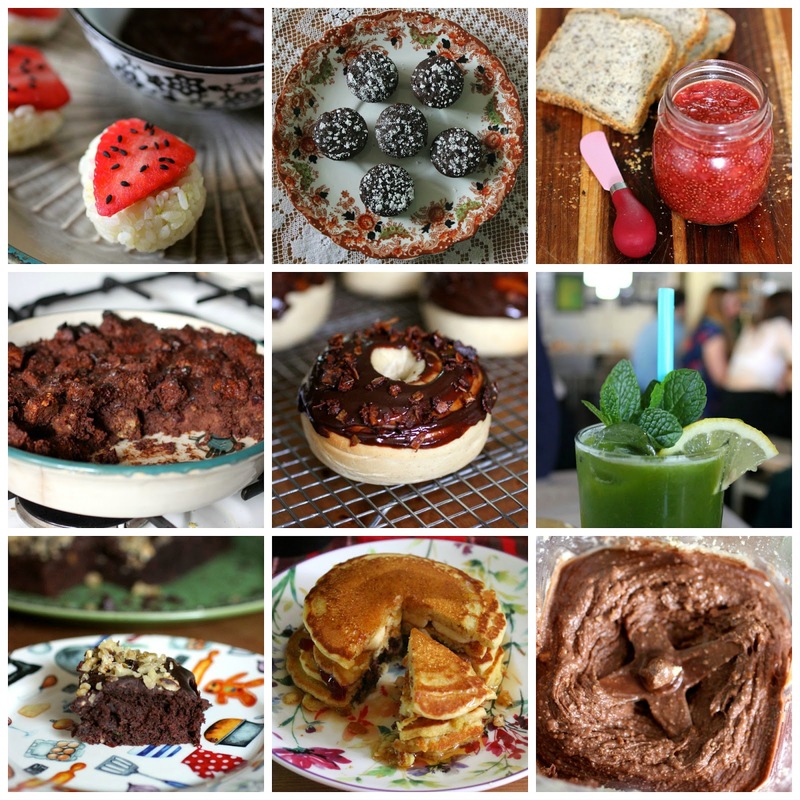 Go to my Vegan MoFo list for more of my 2014 Vegan MoFo posts. Welcome to the Sunday edition of Vegan MoFo brought to you by the Letter S with some speedy recipes with dubious claims to be included the my stable of recipes starting with S. Sadly I don't have time to tell you about my new blender - that will have to wait for another day. 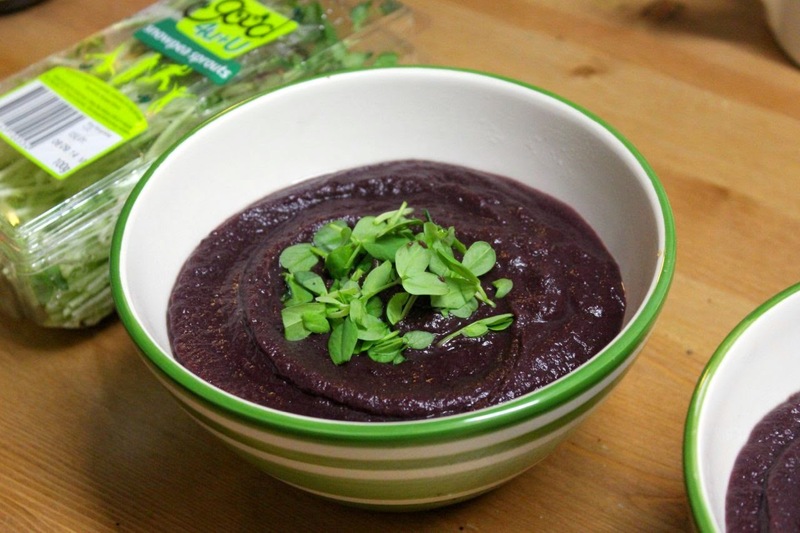 I can say I am very happy it is making dips, nut butter and smoothies. However I still love my hand held blender for soups. 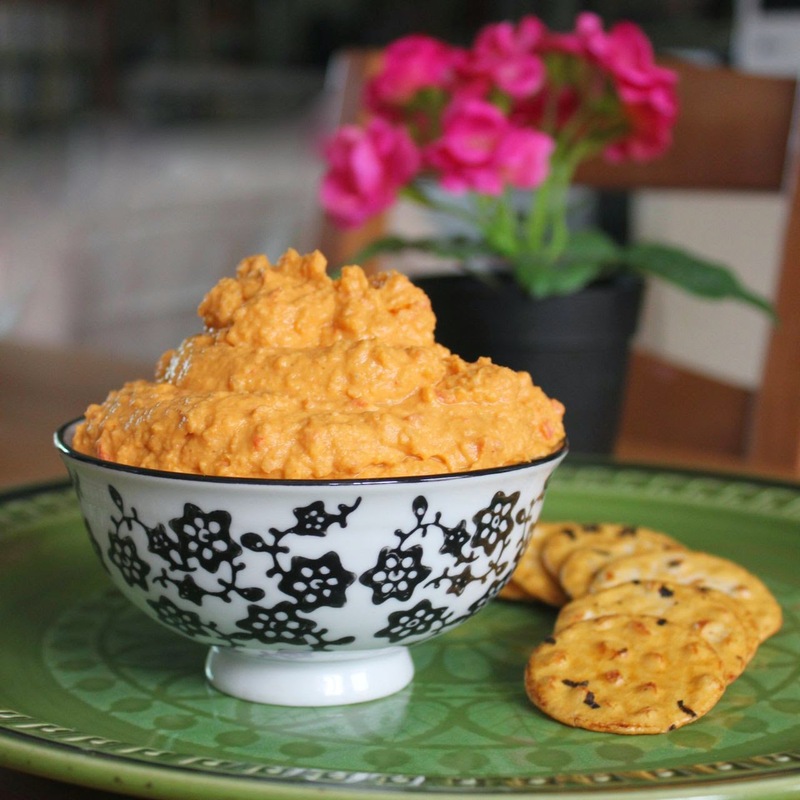 Firstly let me thank Janet for inspiring me to make a buffalo hummus recipe that has been in my bookmarks for ages. My blender made far smoother dip than my cranky old food processor does. E and I found the dip very pleasing. A little bit smoky, a little bit spicy, a really good hummus. Sylvia still prefers the hummus I buy from the shops. 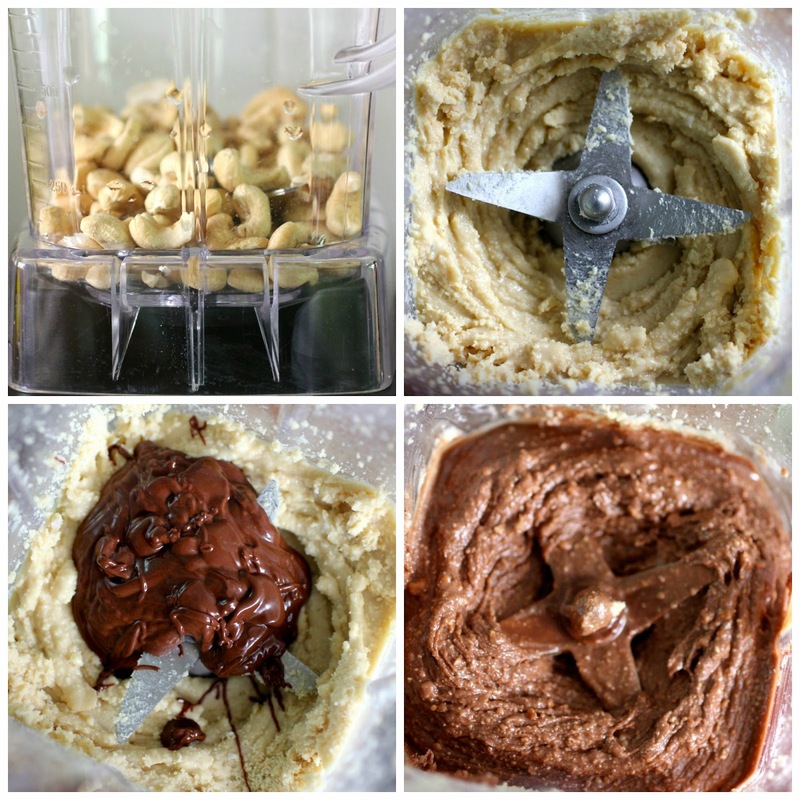 I couldn't wait to try a nut butter in the blender. It took minutes. Hurrah. 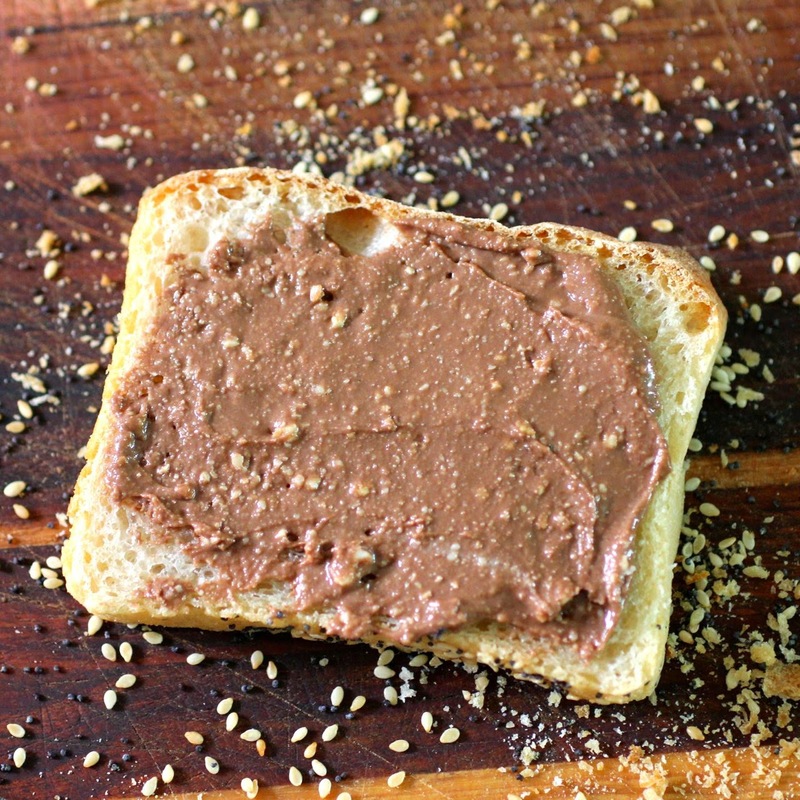 I even dug out a recipe for chocolate cashew butter with a touch of coconut. I am just trying to use up my coconut butter. No doubt coconut oil would also work. I liked it but with the melted chocolate it firm up too much when cool and I didn't have as much control over the sweetness as I would like. I have my eye on a chocolate coconut butter with cocoa and maple syrup. Something like this. 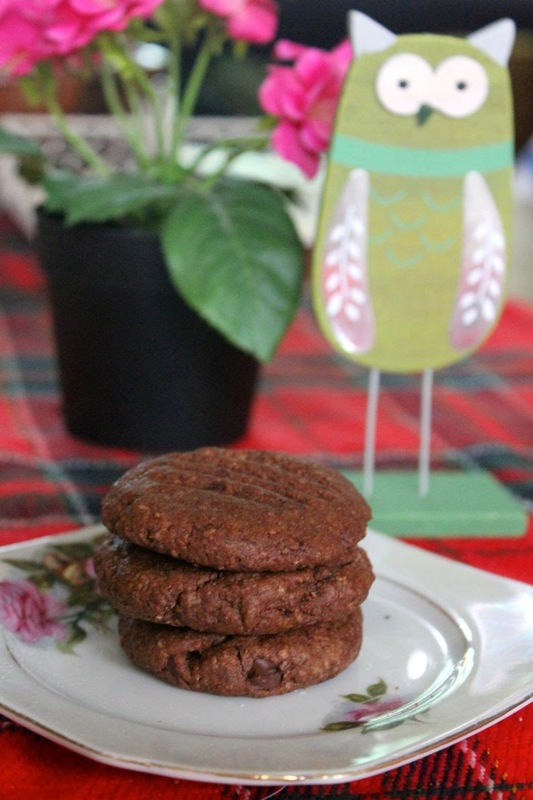 However I am sure that we would all love me to repeat this chocolate coconut cashew butter. It was so soft and spreadable when just made. Great on toast. Once colder I loved it spread on apple slices. And strangely enough, it disappeared within the day. I blame E and Sylvia. I think some of it was eaten straight from the tub. Lastly I am sharing a sludge soup. 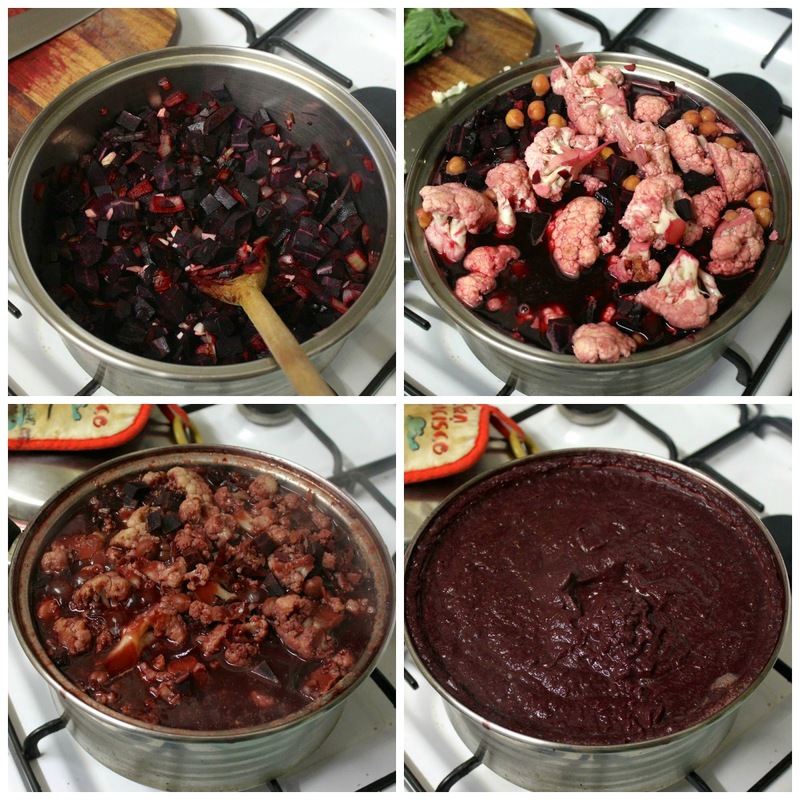 It was made primarily from purple carrots, cauliflower and chickpeas. It looked like the sort of thing that Daleks would eat. On the first night I would have been more than happy to give them the whole saucepanful. It was ok but not great. The second night it was graced by that mysterious alchemy that happens when soups and stews sit overnight. I loved it. The balance of flavours was just right. I could have eaten the whole saucepanful myself. I didn't. It lasted a few nights. I am sending this soup to Shaheen of Allotment to Kitchen for her Vegetable Palette event which this month focuses on purples and blues vegies and fruit. 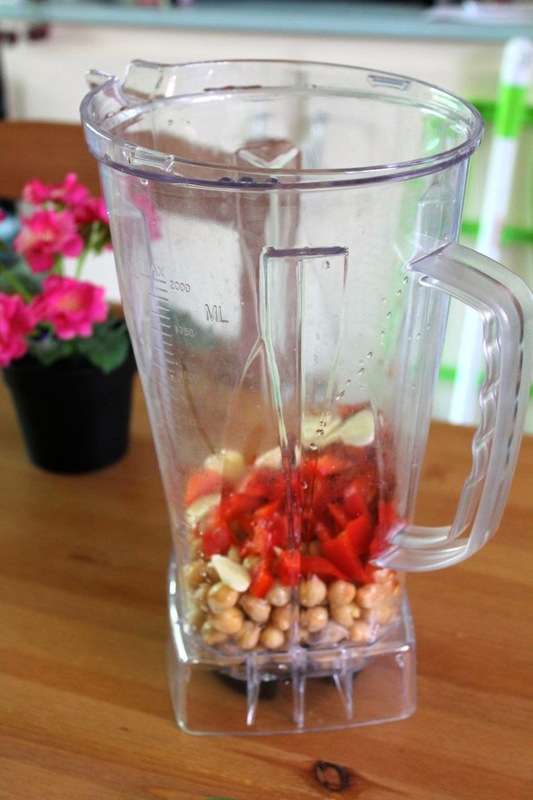 Blend all ingredients together until smooth. I did this for a few minutes at a low speed (between 2 and 3) with some scraping down in between. Blend cashews until finely ground. Add coconut butter and blend until smooth butter. Melt choc chips and mix in with a pinch of salt. It will be very soft when first made and firm up as the choc chips cool. ShanDong MaMa for a speedy lunch! Given that E and I eat the same dinner most nights, you wouldn't think it would be so hard to find a place to eat together on his lunch break. Yet we had a lunch date a few weeks back when he was focusing on time and I was focusing on taste. 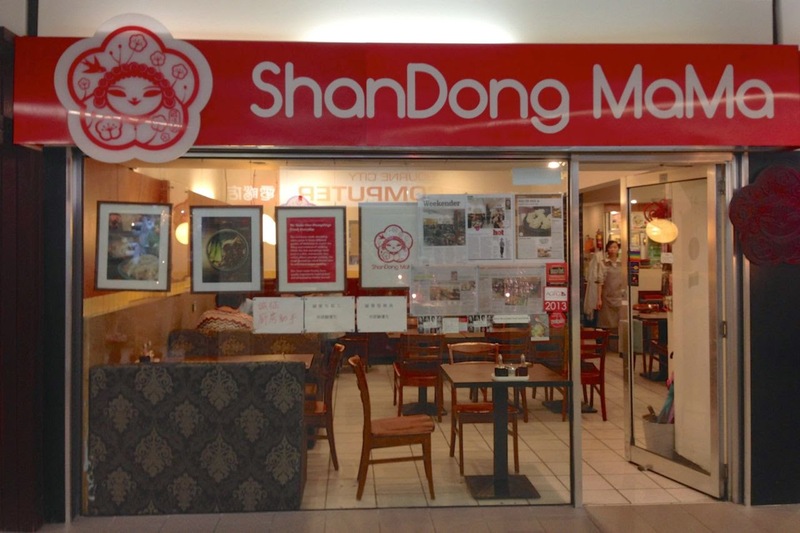 I suggested ShanDong MaMa based on Veganopoulous' review. I told E there might be queues. He does not do queues at lunchtime. So I went alone. As I arrived there were no queues. I texted him and he hurried down. Meanwhile I had ordered panfried vegan dumplings. I asked the staff to put them on hold til E arrived. Another stomach meant we could share another dish. 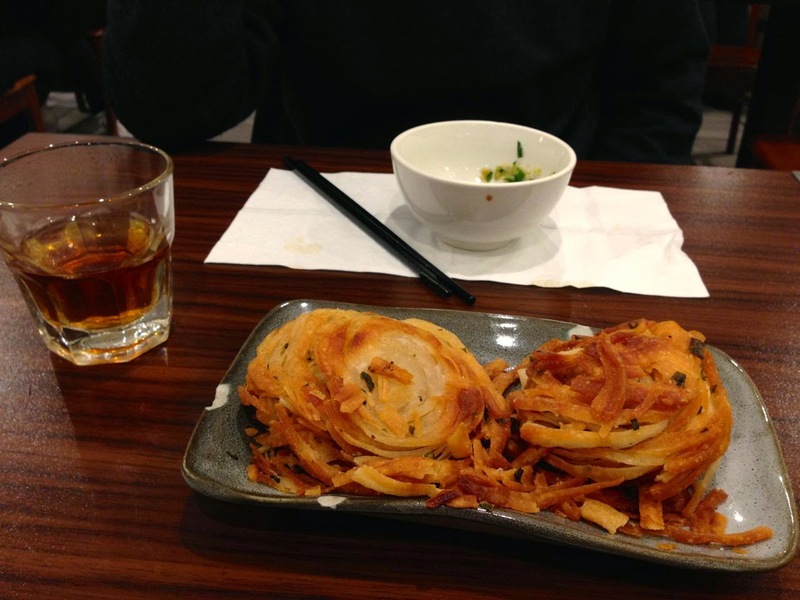 I ordered the scallion pancakes. The dumplings were already cooking but they kindly put them aside until E arrived. Meanwhile I drank the complementary tea and did some sudoku. Once E arrived the dumplings did not take long. They are filled with zucchini, tofu, black fungus, coriander, rice noodles, ginger and garlic. We picked them off the plate with our chopsticks and dipped them in soy sauce. They were very light and flavoursome. Despite being panfried they are pillowy soft. Next came the scallion pancakes. I can't remember having any scallion pancakes before but I think I am right in claiming these are quite unlike the usual ones you might be served. They are crispy birds nests of coiled fried dough. E kept waiting to discover a soft centre but they were crunchy most of the way through. Like the oddest chips you have ever had. And so good you can't wait to have them again. By the time we left the restaurant was busy. No queues. But not many free seats. 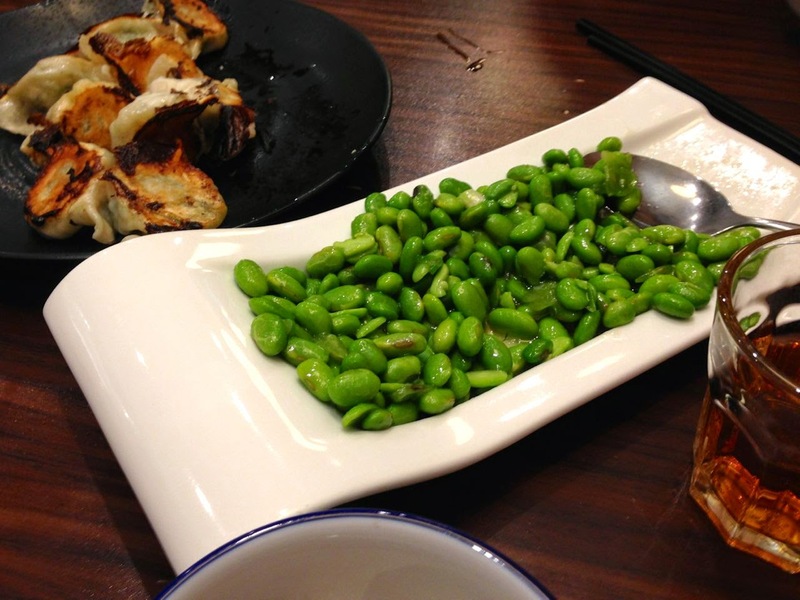 The menu had a few other dishes marked vegan including an intriguing edamame with olives. Nothing else to challenge the delicious dumplings and scallion pancakes. It seems there was quite a buzz about the place last year, especially after it won the Time Out Food Award Best Bang for Buck category (2013). With 12 dumplings for $12 dollars, it was good value. The food was delicious and interesting. The staff very friendly and the ambiance was relaxed. We will be back, especially next time we need to sort out a place for a quick lunch date. Update September 2014 - I went there again with E and Sylvia. She chose to drink grass milk jelly (which doesn't seem vegan but the waitress was a bit vague). They were kind in making us the edamame without the olives, though it still had some seasoned sauce on it. 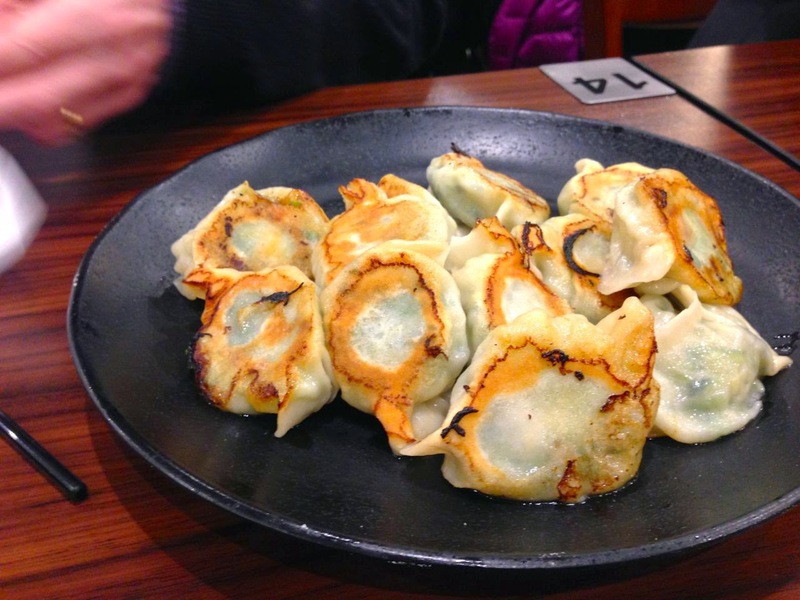 The dumplings were even crispier fresh. I still love it. Update July 2016: Visited today and found they are no longer doing the amazing scallion pancakes. The menu looks quite different though they still do the vegan dumplings. We decided not to eat there as there wasn't so much for Sylvia to eat there. I don't think they did the edamame dish any more either. This post is part of Vegan Month of Food September 2014. This year for Vegan MoFo my theme is The Letter S. Today is S for ShanDong MaMa. Go to my Vegan MoFo list for more of my 2014 Vegan MoFo posts.